Last week in science lab, 5th grade students conducted acid tests on seven different types of minerals in order to properly identify them. They also tested the minerals for traces of limestone. 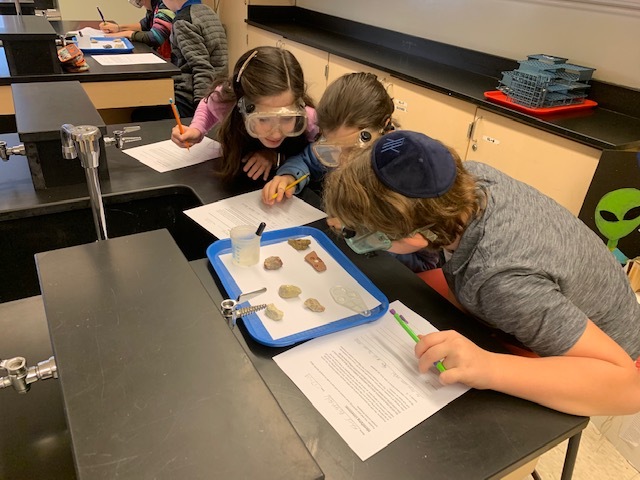 Throughout the unit on rocks and minerals, students have been learning about the various ways to classify and identify igneous, metamorphic, and sedimentary rocks.